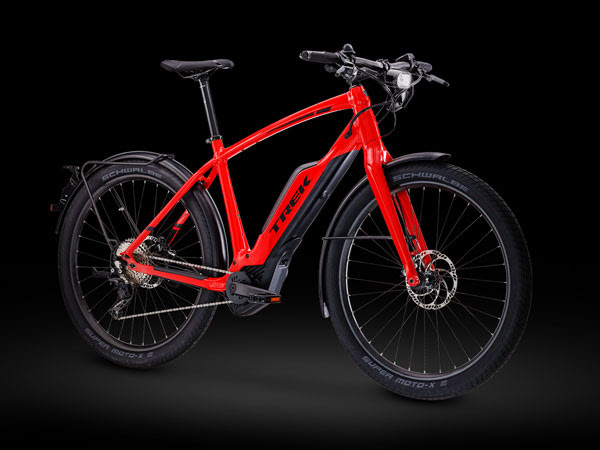 Lights, mudguards and a powerful motor are integrated with thoughtful design details for a ride that’s as beautiful as it is convenient. This bike actually can replace your car. With sustained speeds to go long distances, and the stability to ride anywhere, the Super Commuter+ is perfect for every journey. Integrated SuperNova lights maximise visibility, while the long-distance battery lets you ride longer, stay stronger and explore more of the world around you. The Super Commuter+ is no hybrid with a battery slapped on. Wide, high-volume tyres are paired with hydraulic disc brakes to deliver confident handling at all times.